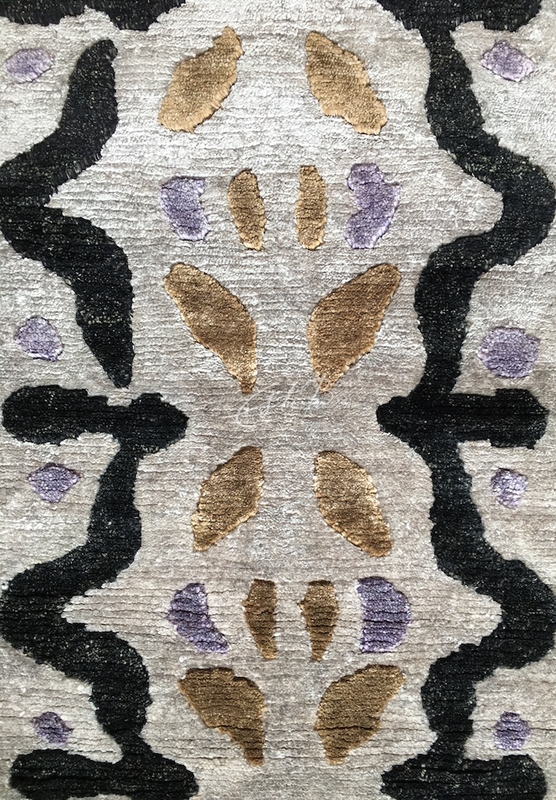 Topfloor’s latest rug collection, KALEIDOSCOPE, was – as the name suggests – inspired by Esti’s fascination with the constantly shifting, multi-coloured symmetrical patterns of a child’s kaleidoscope. Her aim, beautifully realised, was to capture some of the exuberance and complexity of the toy’s infinite design possibilities. 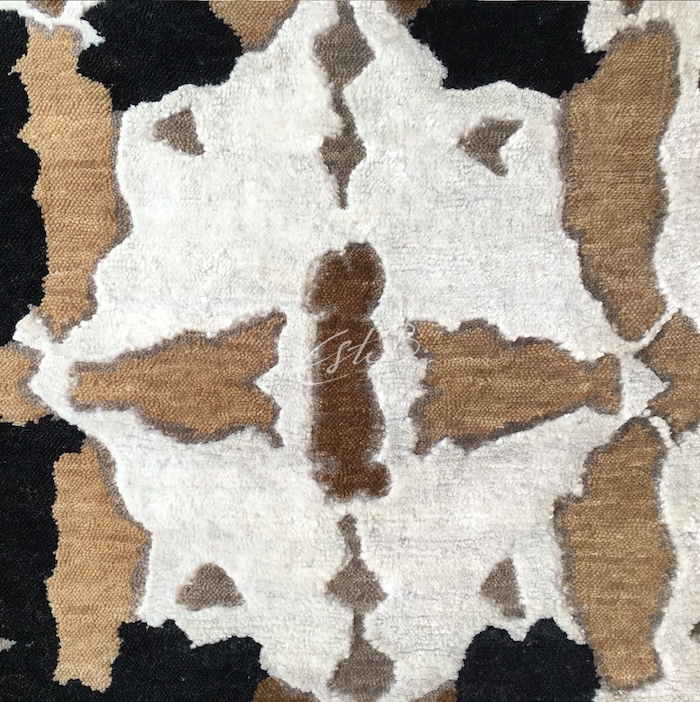 Each of the five hand-knotted rugs in the KALEIDOSCOPE collection features a different motif (shown in the images) that is repeated – or ‘reflected’ – regularly across its surface. 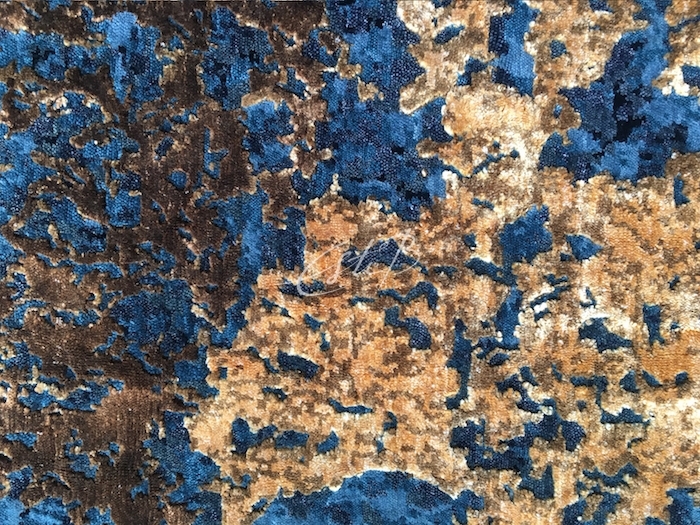 A welcome departure from the abstract, so-called painterly style popular with many contemporary rug designers, KALEIDOSCOPE is all about colour and pattern with a nod to symmetry. 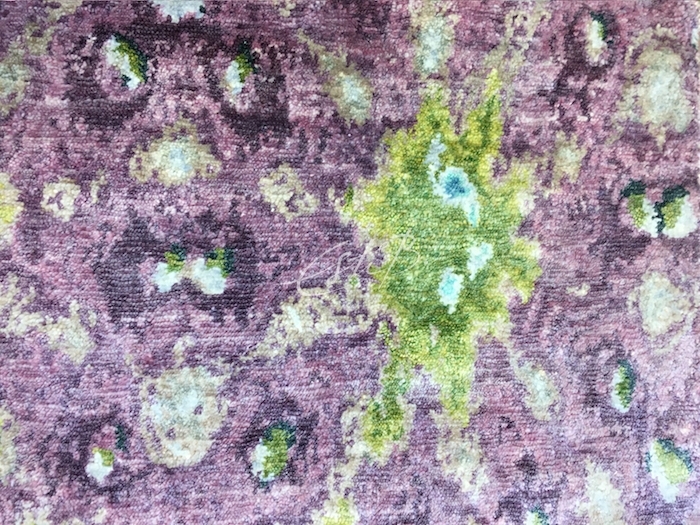 With the KALEIDOSCOPE collection, Esti has again asserted the rug as a focal point in a room scheme rather than simply a complementary accessory or neutral backdrop. ‘Brocade’, for example, has a celebratory feel that demands attention. The dark-to-light ‘streamers’ cascading across its surface create a sense of movement and energy. The confident, refreshingly flamboyant designs in the collection are perfect for those seeking an antidote to the neutral colour palettes that have prevailed in recent years. The vibrance of ‘Lavender’, with its purple background interrupted by bursts of intense green, really lifts the spirits. The rich colours, refined materials and apparently random pattern of ‘Amber’ have a relaxing, almost hypnotic effect. Made from hand-spun wool and bamboo, the incredible detail and depth of this design invite the viewer to look more closely. Statement shapes and bold patterns are making a strong comeback in interior design. The not-quite-symmetrical repeating figures in ‘Ebony and Ivory’ (in wool and bamboo) and ‘Fragments’ (below, made from 100% bamboo) result in a softer, less angular effect than the geometry of a real kaleidoscope. The new KALEIDOSCOPE collection will be officially launched during FOCUS/16 at Design Centre, Chelsea Harbour. The theme of this year’s show is how art can provide new perspectives on interiors, which is a concept that has long interested Esti, who trained as a graphic artist and is a keen art collector. 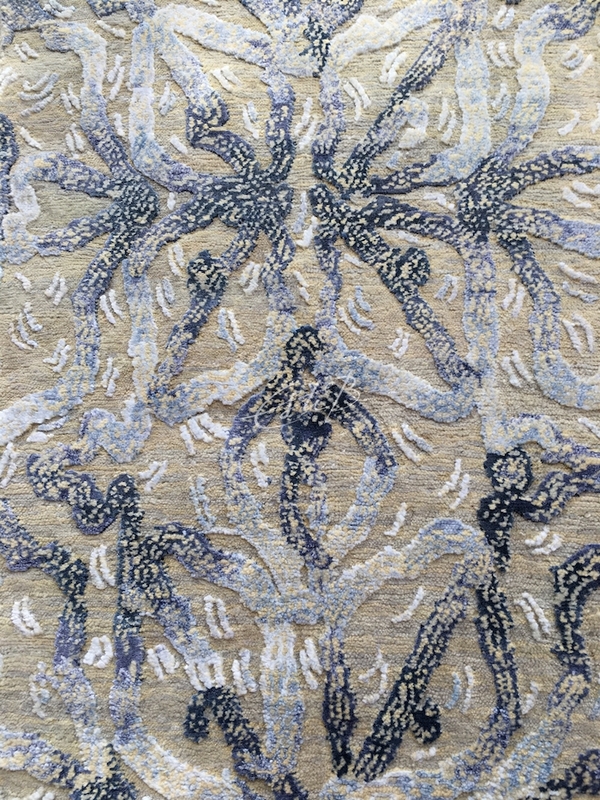 Her rugs are artistic interpretations of often very personal experiences – childhood memories, places she has visited, her love of the natural world – and KALEIDOSCOPE is no exception. Has your curiosity been piqued by these tantalising preview images of KALEIDOSCOPE? To see this diverse collection in its entirety, enjoy the kaleidoscope of colour and appreciate the exquisite craftsmanship that went into their creation, visit the Topfloor showroom. STOP PRESS: Topfloor will be hosting an open-to-all discussion on trends and developments in wood flooring as part of FOCUS/16’s ‘Access All Areas’ programme. ‘DESIGN UNDERFOOT – GETTING CREATIVE WITH WOOD FLOORING’ is scheduled for 12 noon on Tuesday 20 September at Topfloor’s showroom on the second floor in the South Dome at Design Centre Chelsea Harbour.